With only 10 days until Christmas the rush is on to start putting together your menu. You'll have this and that for main dishes and sides, but maybe you're still attempting to settle on your dessert. Of course, you'll have pie because #holidayweightgain, but maybe you need a second option, and cookies are always good. We here at Blog to Taste love our Red Velvet as proof here and here. 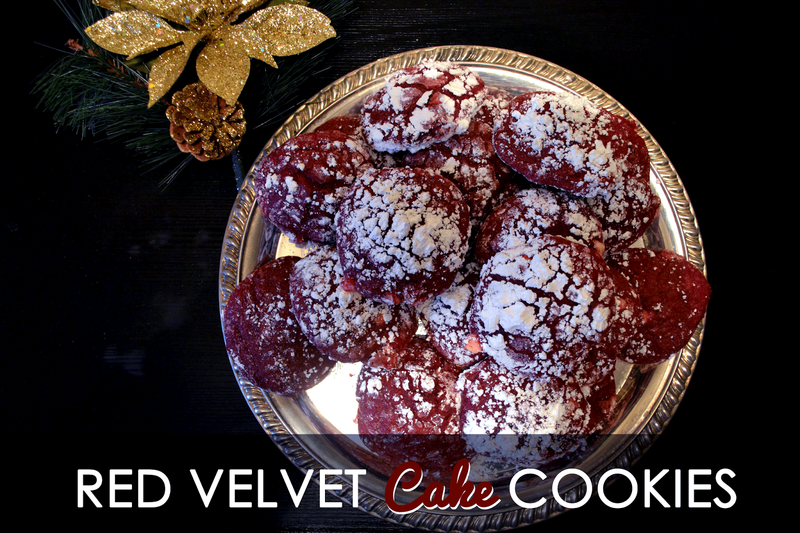 So it seems almost fitting that we'd make a Red Velvet Cake Cookie for Christmas. Preheat oven to 375˚ Start by creating the batter. Mix in a large bowl all of the ingredients, minus the powdered sugar. 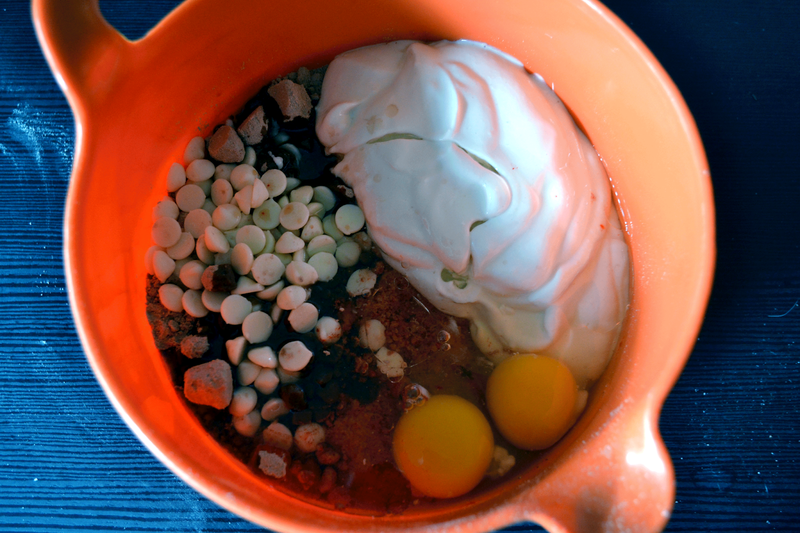 Mix until it’s smooth and you don’t see the cake mix powder clumps. If it is too runny, feel free to add a dusting of flour, but DO NOT go overboard. 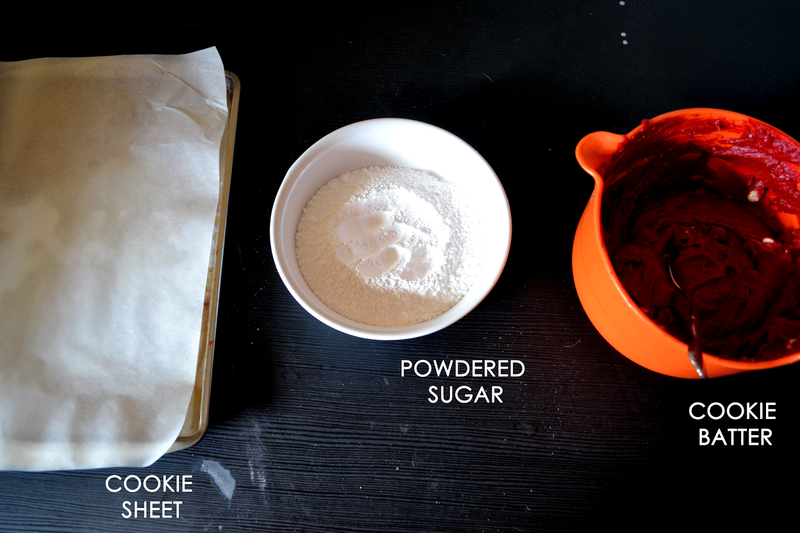 Create an assembly line (seen above) for the batter, powdered sugar and cookie sheet. I am a huge supporter of parchment paper. It is the must have ingredient for any cookie. 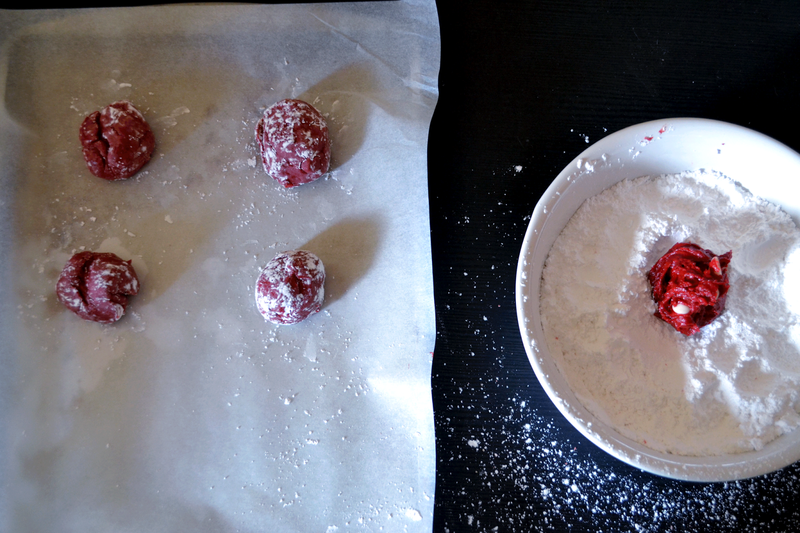 Take a 1 inch ball of the batter and drop it in the powdered sugar. Mix it around covering it in the white, snow-like goodness. Then toss it in your hands to make a cute little ball. This gets messy, so be prepared! Leave space on the cookie sheet for any expansion. Right before tossing in the oven sprinkle with one more layer of powdered sugar for dusting. Bake at 375˚ for 10 minutes. Let cool. 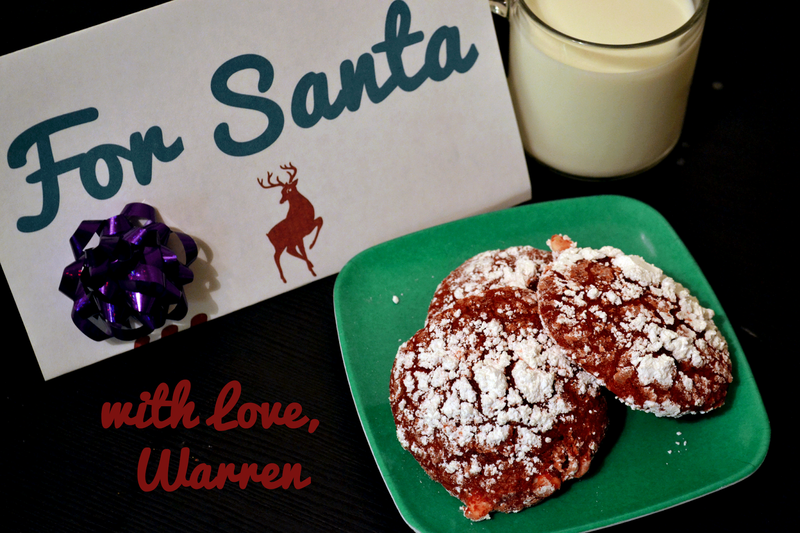 Serve warm with milk or leave out for good ol’ Saint Nick to enjoy on December 25th. Merry Christmas! These cookies are the perfect fluffy, yummy, satisfying thing to put on the table for your Christmas Day.